When I’m training my clients on SEO basics, I always explain how important it is to create content that can be found, using the right information in the right places, which is something that is highly appreciated by visitors. Learning how to write a good meta description is important for SEO because it will add relevance to that page for the search term we want to rank for. But a meta description should also increase our click-through-rate (CTR), with more clicks and visitors. Why is it so important to know how to write a good meta description. Every time you search for something on Google, according to your settings, you generally see 10 results on each page. Each displayed result makes an “impression” in front of you, but you will only choose one and click on it. This is called CTR or Click-Through-Rate. The Click-Through-Rate is the ratio between the number of times your result makes an impression and the times it is clicked. Now, think about your experience as you are browsing. Why do you choose to click on one particular result? Usually, the answer is that that particular result is relevant to what you were looking for, and it’s also catchy and captivating. meta description (the black snippet of copy). This can be a “rich snippet” if you provide your page with featured snippet features of the schema.org protocol. When you’re writing a blog post or publishing a site page, it’s very easy to forget about filling in the Meta Description. And yet, this is your chance to fight your battle for being chosen amongst other results. Don’t you think that by not using this field you’re missing an opportunity to get that all-important click? At the end of last year, a Google update increased the number of characters displayed in a meta description from 165 to more than 300, from 2 lines to 4-6 lines. 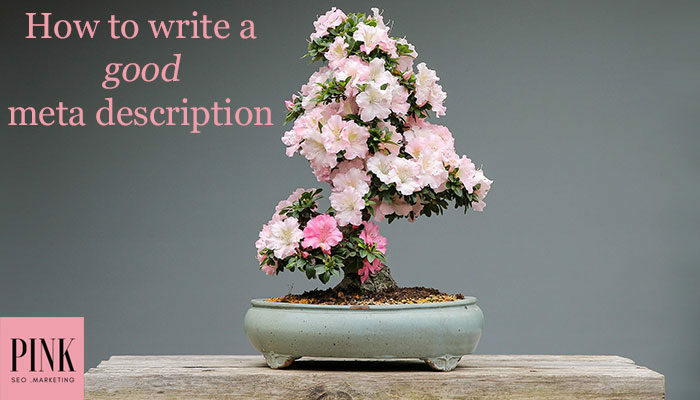 Even with the available space being more generous now, you still only have a limited number of characters to convince your readers to click on your result. So what is the best way to do just that? If possible, include a question. Hit an emotional trigger – the emotion behind your target’s pain points. People won’t help but react to it. State the keyword phrase you want to rank this page for. Keep your meta description very specific to it. Tease your reader’s curiosity and interest. Include a clear call-to-action (“Learn”, “discover”, “grab”). State the value your reader will get by clicking the result (free examples, templates, etc). Add some of the keywords that, according to your Google Search Console, are shown to be driving traffic to that page. Don’t deceive your users. Be honest and don’t pretend they will find something non-existent. Your bounce rate would reflect their disappointment and become a very negative ranking criterion. 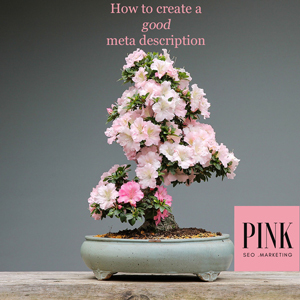 Edit your meta descriptions when you refresh your content over time so they are always up-to-date. If you follow these 10 tips, you will learn how to write a good meta description. And your click-through rates and search engine rankings will benefit significantly. Which is your favourite tip and why? Let’s discuss best practices in the comments and on Social Media! What happens when you search for something on Google? Why do you choose to click on a particular result? Because that one is relevant to what you were looking for and is also catchy, captivating. Learn how to write a good meta description: your click-through rates and search engine results will benefit significantly.